← help wanted – what should a tutor do? Last week I was in Strasbourg, the home* of Gutenberg, inventor of the printing press. I was giving a “lecture” on academic writing to a European social science summer school. I decided to focus my talk on the current “gold standard” – writing an academic journal article, in English, for an English language journal. The subsequent discussion raised a number of issues including, of course, the inequitable geopolitics of English and commercial journal publishing. However, the restricting, constricting, predictable genre of the journal article itself also came in for critique. You see, the vast majority of English language social science journals still seem to prefer and publish papers structured in the same old way. Yes, journals just love my old friends Introduction, Literature (including theory), Methods, Results and Discussion and Conclusion. Why this love affair with variations on IMRAD, we collectively wondered… and why are the articles just words? Surely we can write more and do more than this now we are all online? 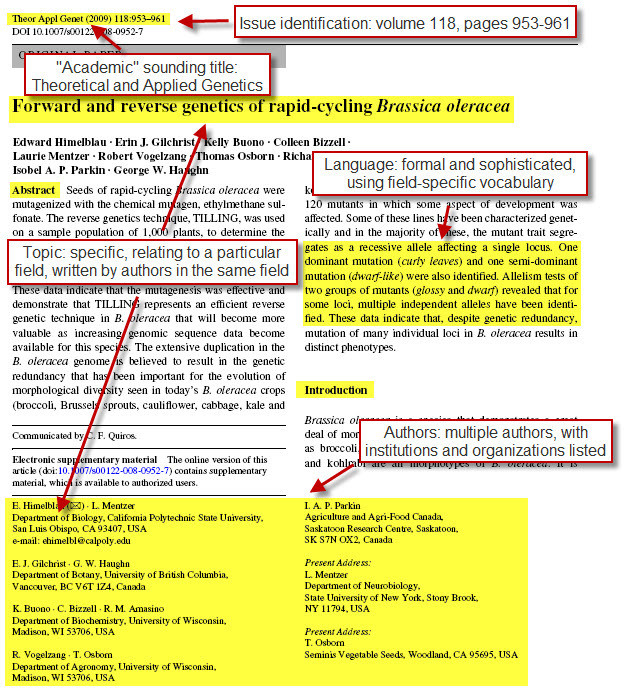 You can always spot an academic journal article because of the way it looks. Sadly, when it comes to making judgments about “quality”, it’s the text-based and conventional IMRAD genres that seem to be preferred. There are people in the social sciences keen to embrace the possibilities of digital and artistic forms. But things aren’t in their/our favour. Audit regimes, such as the British Research Excellence Framework, seem much more likely to see more experimental genres as “impact” or “the research” – not as a publication in their own right. The order of the day is IMRAD rules OK, print is best. Coincidentally, and almost at the same time as I was “lecturing” in Strasbourg, I stumbled over two online texts that spoke about this question of the digital and writing. The first was a short animation featuring Margaret Atwood. She discusses the ways in which different platforms support different/particular kinds or writing. The medium has an impact on what the author can do. Atwood takes the serial, the story that proceeds in instalments, as an example. Writing stories in sections, each ending in a cliffhanger, makes readers eager to purchase/consume the next. The serial was first made possible by the regular publication of cheap newspapers and magazines. But now there are more possibilities for serial writing. Atwood points to digital platforms like Wattpad which not only allow and promote instalments, but also allow writers to use their phones to make one off or multiple short posts. The web-based serial does something additional to print – writers can post in their own, not commercial, timeframes. And the platforms also allow interactive writing, so two or more authors can collaborate. (See for instance the Margaret Atwood and Naomi Alderman Wattpad story The Happy Zombie Sunrise Home.) So this opens up new writing possibilities, new plays on an existing genre. The latest issue of The International Social Science Research Journal hits the press. My fears exactly. The fears of our Strasbourg discussion exactly. I then went on a bit of a hunt around the social science journals I read most often. And they were, as you’d guess, depressingly the same as they were twenty years ago. Wordy, organised in the usual structure. Introduction, Literature (including theory), Methods, Results and Discussion and Conclusion. Very few images, the odd link, and nothing that moved. And when I went to exclusively online journals, it was actually much the same. Apart from the very few journals that specialise in the digital form or in the arts – and even then in most of them – the papers might just have well have been written for the Gutenberg press. I can only loudly second Andrew Prescott’s conclusion : “I hope that the future of e-books will be more media rich and varied than the plain and frankly crude html wrappers with which we are presented at the moment.“ And I’d want to add, that goes for journal articles too. We can now do much more in academic writing than Gutenberg allowed us to, so why don’t we? Digital platforms offer some very different academic possibilities – more show to accompany the tell, less linearity, more nuance and debate. We are encouraged on the one hand to get into these kinds of forms, but then on the other discouraged by audit regimes and what seem to be the conservative decisions made by journal communities. Seems a pity to let this slip past us, doesn’t it? This entry was posted in academic writing, Andrew Prescott, journal article, Margaret Atwood and tagged academic writing, Andrew Prescott, digital platform, Gutenberg, journal article, Margaret Atwood, Pat Thomson. Bookmark the permalink. 7 Responses to are we stuck in a Gutenberg time-warp? The same is true for recipes and many other forms: we read words, but also structure. If you’re going to change the structure, you’ll want a payoff that is larger than the handicap you are accepting. I want my students to publish their articles, so we always have this conversation. The current way isn’t the ‘only’ way, but it is important to weigh what is being given up against what might be gained. If it’s worth it, do it, but don’t change for the sake of change. Oh, and by the way, there are clear ways in which technology *is* being used, for example requiring authors to make their data available, or allowing (or requiring) various sorts of additional materials to be made available online. We’re not all Luddites. I’ve been working out how to incorporate pop-ups into my thesis, as well as pull-outs (in particular a piece based on an origami fortune teller). I guess on-line these could be done as animations, but not the same as the real thing, and way too expensive for a journal. For musician researchers writing about music the restrictions on journal article style/structure is even more frustrating. Anyone working in an arts related field has commented on the difficulty of transmitting ideas through the medium of current academic writing. There are wonderful solutions readily available but it seems academic journals (editors, board, publisher) may not yet be ready to embrace change. There are journals out there, eg http://kairos.technorhetoric.net, that are using 21st century technology for its multimodal affordances, and maybe the way to break the spell of the 2D printing time-warp, which also straight-jackets disciplinary thinking, is for each writer to be bold and to publish in these fora. Perhaps the big publishers will then feel snubbed, get with the programme, and change their flat, unimaginative ways?